Mohammed Bin Salman, the crown prince of Saudi Arabia, reportedly told an aide that he would use "a bullet" on Jamal Khashoggi one year before the journalist was murdered inside the Saudi consulate in Istanbul. US intelligence intercepted a phone call in September 2017 in which the crown prince said Mr Khashoggi should be lured back to Saudi Arabia or forced to return to the kingdom, according to 'The New York Times'. If neither method worked he should face a bullet, the prince reportedly said. 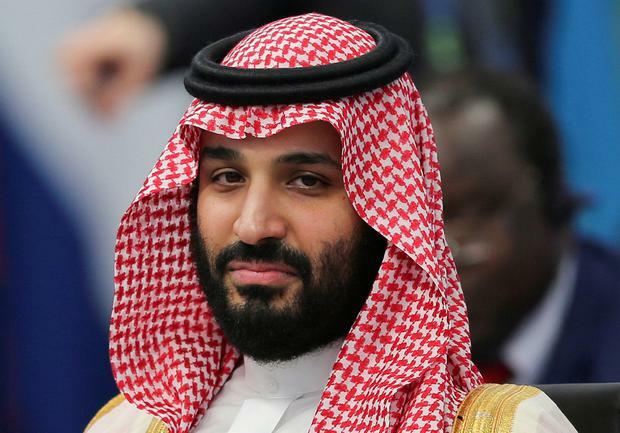 If confirmed, the phone call would appear to be the most direct evidence yet linking Crown Prince Mohammed to plans to kill the 'Washington Post' columnist. Saudi Arabia's Foreign Minister Adel al-Jubeir last night insisted the prince had not order the October 2018 killing. "We know that this was not an authorised operation. There was no order given to conduct this operation," he said. The White House has continued to stand by the 33-year-old prince - who is effectively the kingdom's ruler - despite a classified CIA assessment which concluded that he had ordered Mr Khashoggi's assassination. Meanwhile, a senior aide to Recep Tayyip Erdogan, the president of Turkey, slammed Saudi Arabia for a "complete lack of transparency" over the investigation into Mr Khashoggi's death and again demanded that the suspects be extradited to Turkey to stand trial, a demand that Saudi Arabia has ignored. The kingdom has charged 11 people with the killing, including members of royal entourage, and is seeking the death penalty against five of them. However, the proceedings have continued in secret and no evidence against the men has been made public.